Children are precious to us at Knollwood, where our children’s ministry seeks to inspire in them a passion for Jesus Christ through Scripture, and to empower families for spiritual growth. 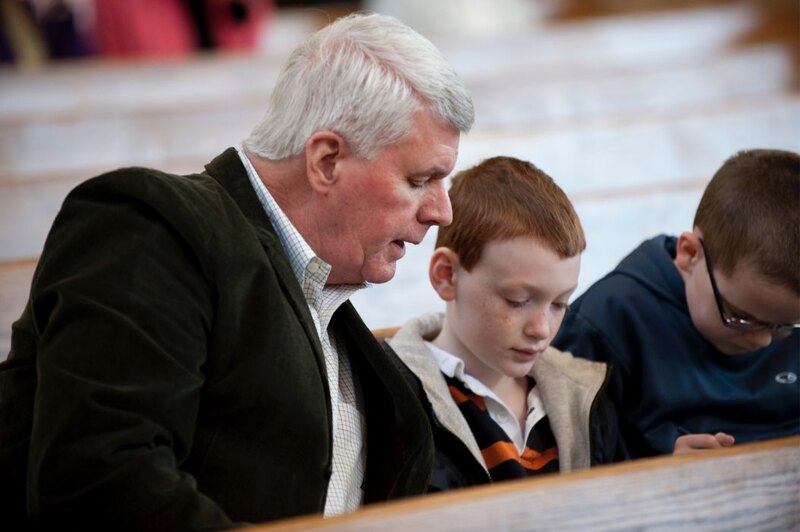 We focus on children’s fellowship, service, worship, and a deepening knowledge of and relationship with Jesus, together with providing support for parents and families. Regular weekly opportunities and special events are designed to work together to help us meet these goals. Registration is now open only for KBC and TTWS families. Knollwood's Vacation Bible School this year is To Mars and Beyond! VBS will be held Monday, June 24–Thursday, June 27. There will be carnival-style games, art projects, relays, prizes, Easter egg hunt, stories, songs, and more! Our kindergarten through fifth graders gather during Kids Connect for dinner and devotion followed by fun and games together. 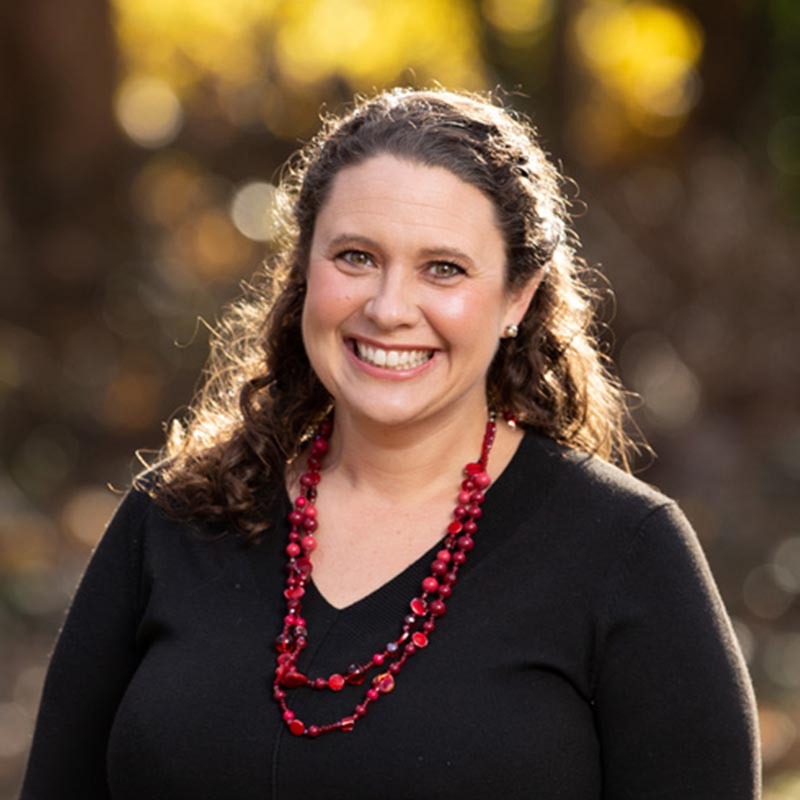 On April 24 we will explore Earthcare through science activities with Beth Fields. Our kindergarten through fifth graders gather during Kids Connect for dinner and devotion followed by fun and games together. On May 1 we will review our memory verses for the year and prepare for next week's memory verse challenge. Our children and their families will participate in a Serving Saturday service project to benefit our community. Details TBA. Mark your calendars now. The centerpiece of our Christian education for children is Sunday morning Bible study, where we focus on biblical foundations, fellowship, and service. Children’s Worship for first through third graders on the first, third, and fifth Sundays. Children depart from regular worship during the second hymn. Worship bags and children’s worship bulletins, available in the narthex before the service. Growing opportunities for children to participate in worship throughout the year. We provide infants through kindergartners with a nurturing, creative, and caring environment during the Sunday school time through activities with Bible stories, music, and crafts. First through fifth graders use the Shine curriculum to gain greater experience in applying the teachings of the Bible to their own lives and the work of the church. These students begin Sunday school practicing hymns from the Hymns for a Lifetime program. Wednesday nights during the school year are an important time to connect with others in our community midweek. 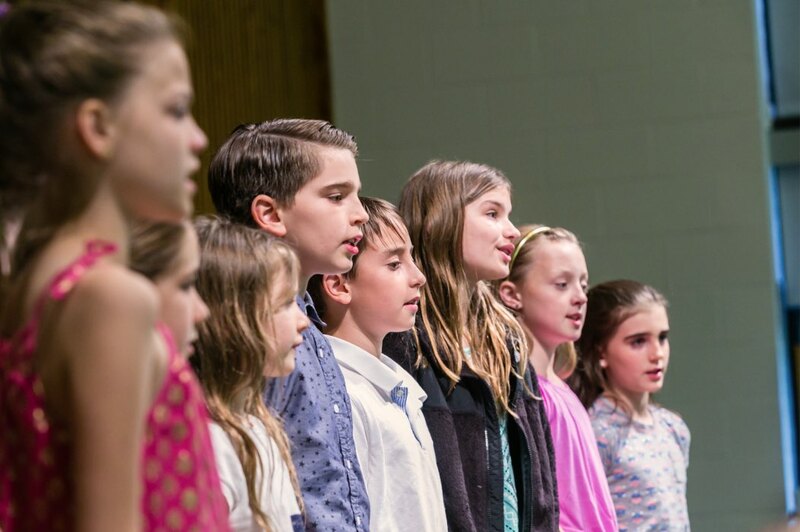 Our children’s choirs rehearse on Wednesday evenings, followed by a meal, fellowship, missions, and learning opportunities for all ages. Kids.Connect, offered for kindergartners through fifth graders, runs concurrently with the adult programming on Wednesday nights. The program rotates among activities such as art, recreation, team-building games, science, drama, missions, and service activities. You’ll find weekly programming announcements and locations for Kids.Connect in the weekly KBC.kids e-mail. A child lector reads one of our scripture lessons in worship every third Sunday. 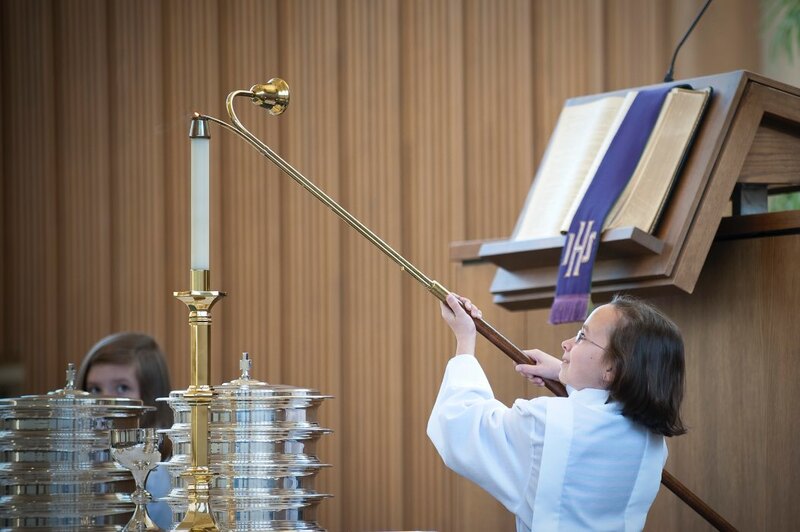 Fourth and fifth graders may be involved in the sacred act of worship by serving as acolytes. Any children who would like to learn how to usher may assist their parents or another adult to learn how to serve. For more information, contact Chrissy Hardy. Parents will find many options for spiritual growth at Knollwood, including Sunday morning Bible study, small Bible study groups that meet during the week, and marriage enrichment groups. These two Knollwood small groups are focused on encouraging mothers of preschool and elementary-age children through scripture and prayer, providing a space for them to renew their spirit through biblical study and fellowship. They are open spaces for those who wish to study the Bible and pray together while sharing their experiences of motherhood. In 2019 we will begin by studying Shauna Neiquist’s Present Over Perfect. Sponsored by the Knollwood Children's Ministry, this reflective group of younger moms meets to study the Bible and share life. We are currently reading Shauna Neiquist's Present Over Perfect. A new evening Bible study and discussion group has recently formed for moms, sponsored by the Knollwood Children's Ministry. We are currently reading Shauna Neiquist's Present Over Perfect. If you would like to volunteer to help with children's activities and events, contact Chrissy Hardy. Knollwood now sponsors the Cub Scout Pack 911, which meets Sunday late afternoons and other times. Pack 911 enjoys bimonthly den meetings, camping, monthly excursions and activities, Cub Scout Camp at Raven Knob, and summer day camp. In Cub Scouts, the boys start with the best right-now selves and grow into their very best future selves.